After finishing the Teralin Sword series (ending with Soldier Song I read a while ago), I finally got to this book. Despite coming after the Teralin series, the books were released in roughly the same timeframe (through 2017 except Teralin #6) – and I waited with this one until the chronologically first series was complete. Before I get to the book itself, I’ll touch said chronology. Starting with Teralin series meant I knew some background about the setting – without which I’d probably find the beginning a bit confusing. On the other hand, I admit I expected a few more characters to be at least mentioned. I also expected that the series will follow one another a bit more closely. Instead, there seems to be a gap I’d guess at 20-30 years. Considering the ending of Teralin series, it felt a bit strange. Now, about the story: While the prologue starts with Brohmin (who had a few appearances in the Teralin series, even though I forgot about him already), the main story follows Jakob – an apprentice historian studying under Novan (much more prominent in the Teralin series). Brewing unrest and the threat of Desmahne (the main reason I expected a shorter gap between the series) nudge Jakob into practicing with blade instead of just the pen under an aging but skilled soldier – later revealed to be Endric himself. As the chaos unfolds, Jakob and Novan accompany the Denraen escorting magi delegates to Vasha only to be assaulted by a large group of raiders and Desmahne, led by a mysterious High Priest. Jakob also befriend Roelle, a female mage interested in learning to wield the blade, a practice scorned by most of the magi. 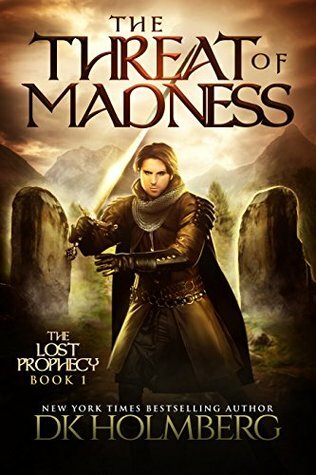 The book then builds on what was revealed through the first series about the magi, their connection to the gods and the past, and some other backstories (eventually including the Anthrilli and groeliin). Jakob faces dream and paranoia, wondering whether he’s losing his sanity, despite the fact that this strange condition aids him in combat. When the remains of Denraen are split (Endric, Roelle, and Novan escorting the magi to Vasha; Jakob following a smaller group northwards to deliver a mysterious object). That’s as much as I’ll share about the story. Sharing the world, it’s similar to the Teralin series but I found the first book less gripping than Endric’s story. Some aspects still remain, such as the general tight-lippedness of… pretty much anyone important – and those who happen to be sucked by the whirl of unfolding events clueless. It gives a feeling of mystery but can also be frustrating to some (a fact pointed out by several reviews). In the end, I’m glad I kept this book delayed for the end of Teralin series. I’m still curious whether some characters will appear at all (Senda) or have a larger role than cameos (Pendin).